Premier Tile is proud to offer the highest quality products for residential and commercial use. Below are brief descriptions of the brands we represent with links to their websites. We value our partners and invite you to explore what we have to offer. ACO is well known for their high quality shower drainage products. ADEX USA speaks to both fashion and function with multiple product types, styles, finishes, and colors. Alfalux continuously invests in aesthetic research and technological innovation to elevate their tile products and production processes. Alpha Concrete produces veneers that make achieving a brick or stone look easy and affordable. 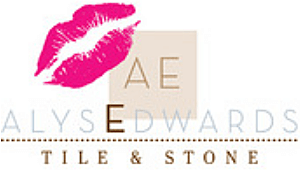 Since 2008, AlysEdwards has been committed to producing tile collections with a custom-made look. Anatolia Tile and Stone provides quality ceramic and stone products throughout the United States and Canada. Ardex is a global leader in the development and manufacture of high-performance building products. Barwalt manufactures ceramic installation tools including grout floats, beating blocks, and knee pads. Chameleon Registers produces floor vent registers for hard surface floors. ColorFast Industries offers products for ceramic tile and laminate. Del Conca USA has one of the most modern production plants of porcelain stoneware in the world and produces tiles that are designed in Italy and made in the USA. Deutsche Steinzeug America (DSA) concentrates all of its strengths on its core business: the production of ceramic covering materials. DeWalt has been designing and producing professional tools since 1924. Diamond Professional Tools has been supplying quality diamond tools for the construction industry for years. Durock Brand Cement Board with EdgeGuard is a strong, water-durable tile backerboard. Ebbe America is a proud leader in the plumbing industry as an innovative manufacturer of floor drains and associated products. Eleganza Tiles, Inc. is one of the largest and fastest growing ceramic and porcelain tile companies in North America. 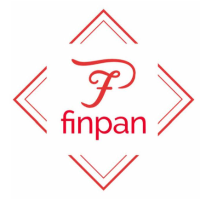 FinPan, Inc. has specialized in innovative, cost-effective, tileable building materials since 1975. 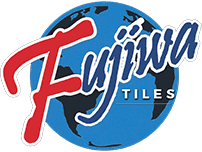 Established in 1984, Fujiwa Tiles has become a leading supplier of the world's finest pool tile. GBM is a Shanghai-based tile manufacturer known around the world for their unique glass tile products. Georgia-Pacific Building Products has been creating groundbreaking products for commercial and residential buildings for over 90 years. 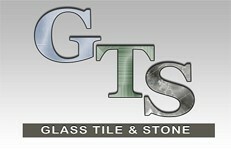 Glass Tile and Stone, Inc. is one of the largest glass tile mosaic companies in the Midwest. Great Lakes Tile Products, founded in the Midwest US in 1999, offers high quality trims and transitions for tile and stone. Gundlach has been producing floor covering installation tools since the early 1930s. Hamilton Parker has been offering quality residential and commercial building materials for over 75 years. Happy Feet International Flooring offers the finest in Luxury Vinyl Plank for today's interiors and is constantly adding to and updating their offering with new product styles, colors, and vinyl constructions. Hirsch Glass manufactures beautiful, high quality glass products. 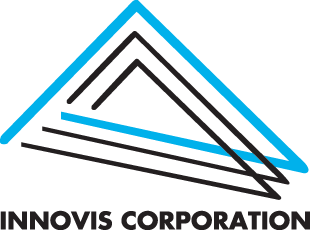 Innovis Corporation designs shower installation solutions that are built for superior performance and maximum flexibility. Interceramic is a world leader in ceramic, porcelain, and natural stone tiles used in floor and wall applications. Ken Mason Tile is an environmentally friendly company that produces handmade tile collections. Lungarno Ceramics specializes in ceramic tile and mosaics from Asia and Europe. M S International (MSI) offers the greatest product variety in the marketplace, including porcelain and ceramic tile trends from around the world. Maniscalco is an Australian inspired manufacturer of stone, glass, and metal mosaics and field tiles. Marion Ceramics produces tumbled thin pavers and tumbled thin veneer brick. Miracle Sealants is one of the world's leading manufacturers of products used to install, protect, enhance, clean, and restore tile and stone surfaces. Mirage USA combines the sophistication of Italian-crafted design with the advantages of manufacturing in the USA. Founded in 1946, Noble Company manufactures innovative, premium quality products for the tile industry. ONIX is a world leader in the manufacturing of glass mosaics. Patara Stone is a fast-growing stone and tile company dedicated to supplying quality products in a wide range of designs. The Pearl Abrasive Company offers coated and bonded abrasives, diamond superabrasives, and equipment throughout North, Central, and South America. PetraSlate Tile & Stone, established in 1989, offers the largest inventory of slate products in the region. Progress Profiles provides profiles for coatings of any material, combining contemporary design with high performance. 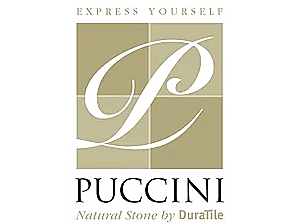 Puccini Natural Stone is known for their ability to stay on the cutting edge of innovative designs for natural stone, glass, and metal products. QEP offers professional tools for tile, porcelain, and natural stone installations. Ragno USA has transferred the technology and know-how from Italy to its state of the art facilities in the USA, providing Italian-inspired porcelain tiles with high quality and design-savvy styles. Raimondi is a worldwide leader in the production of tile and stone machines and tools. Ram Board is heavy-duty, breathable, temporary floor protection engineered for use by contractors. The Roca Corporation is a worldwide leader in manufacturing, distributing, and marketing of high-quality ceramic and porcelain tile. Rubi offers a range of specialized and technically advanced tools and machines designed for construction professionals. StoneImpressions sets the precedent for creating gorgeous, timeless, decorative stone tiles. Located in the hills of the Smoky Mountains, StonePeak Ceramics produces American-made tile inspired by Italian style. SunTouch electric floor heating provides luxurious, affordable warmth and installs easily in new construction and retrofit projects. The TEC brand is offered by H.B. Fuller, a leading provider of technologically advanced construction materials and solutions for the commercial, industrial, and residential construction industry. Tile District designs ceramic and stone tile suitable for a wide variety of applications. Vitromex brings together innovative design and quality to deliver value and style through their tile products. Wedi specializes in waterproof and directly tileable building panels, customizable shower systems, and other modular design systems made for tile and stone finishes. ACO is focused on merging simple design with perfect functionality, and they are well known for their high quality shower drainage products. ACO shower drains are based on an award-winning design sold throughout Europe and offer new options for designers in North America. ADEX USA, a fourth generation family business, opened their headquarters in Miami, Florida in 1996. Year after year, ADEX continues to expand their tile collections to meet the needs of consumers and tile designers. The company?s focus is to speak to both fashion and function with multiple product types, styles, finishes, and colors. Whether used alone or in unison, ADEX products bring dimension, unity, and drama to living and work environments. Alfalux merges the Alfa and Lux brands of Nuova Riwal Tile, a tile manufacturing company headquartered in Sassuolo, Italy. Nuova Riwal is one of the leading groups producing floor and wall tiles in full body porcelain stoneware, glazed porcelain stoneware, and single-fired and double-fired tiles. Alfalux offers high quality, innovative, universal tile products that are suitable for both interior, exterior, residential, and commercial applications. Alfalux considers the diverse tastes and needs of consumers and offers a wide range of products to suit every need. Alpha Concrete produces brick-like veneers that make achieving a brick or stone look easy and affordable. Alpha Concrete products are both durable and beautiful, and the company produces a variety of styles using the finest natural materials available. Offering over 25 collections ranging from basic to extravagant, AlysEdwards is committed to producing tile that brings a custom-made look to any space. AlysEdwards keeps their artisan tile products in stock and ready to ship, resulting in quick turnaround times, and their unique product names aim to bring a smile to customers' faces as they search for the right look and feel for their project. Based in Toronto, Canada, Anatolia Tile and Stone is a dependable source for quality ceramic and stone products. Anatolia offers their tile products throughout the United States and Canada, bringing their innovative and reliable inventory to all of North America. Each Anatolia Tile product is designed in-house by the company's creative team, and Anatolia utilizes the latest production technology to bring these designs to life. For 40 years, Ardex has delivered industry-leading innovation and consistent solutions for the most complex installation problems, including concrete repair and resurfacing, substrate preparation, flooring installation, and the setting of natural stone, ceramic tile, and other flooring materials. Over the past decade, this family-owned business has undergone plant expansions and introduced over one hundred new products, demonstrating their dedication to providing the innovative solutions that customers need. Barwalt Tool Company was founded 30 years ago with the creation of a tile spacer, and over the past three decades, the company has grown into a full tool line manufacturer. Barwalt is known for bringing innovative and quality tools to the tile industry, and they are continuously improving their products as a result of customer feedback. Chameleon Registers produces floor vent registers for hard surface floors. The company's versatile register products can be used with a variety of flooring products, including ceramic tile, porcelain tile, natural stone, concrete, and hardwood. Chameleon Registers manufactures their products in the USA using aircraft-grade aluminum. ColorFast Industries offers products for ceramic tile and laminate. Among the products offered by ColorFast are seam filler caulks, grout colorant, and grout cleaners. Custom Building Products has a goal of making your tile, stone, and floor covering installations as fast, easy, and durable as possible through performance-driven installation systems. The company's products are specially designed to accommodate variations in job conditions and weather the demands imposed on flooring surface prep, thin-set mortar, grout, and tile and stone care products. Custom Building Products has built their offering on innovation and a commitment to quality, and they look forward to setting the standard for quality for many years to come. Del Conca USA is the US-based division of the Del Conca Group, one of the most important industrial entities in the Italian ceramic tile industry. The Del Conca Group is known internationally for the quality of its products, its ability for innovation, and the design the group offers. Del Conca USA, headquartered in Tennessee, has one of the most modern production plants of porcelain stoneware in the world and produces tiles that are designed in Italy and made in the USA. Deutsche Steinzeug America (DSA) is focused on the production of quality ceramic covering materials. DSA is characterized by courageous innovation, heavy investment in modern and environmentally conscious production facilities, exemplary recycling methods, and constant improvement of product quality. DSA embraces sophisticated concepts to cover the entire spectrum of architectural uses for ceramic tile. From 1924 to present, DeWalt has been designing and optimizing professional workhorse solutions - tools, accessories, and service - to ensure absolute confidence for the toughest job site conditions. DeWalt was founded in America, and the company produces "Guaranteed Tough" products in 7 US manufacturing facilities. Durock Brand Cement Board offers architects, builders and tile contractors a strong, water-durable tile backerboard for floors, walls, countertops, tub, shower areas and exterior finish systems. Durock offers enhanced, proprietary edge performance and is mold resistant, making it the perfect choice for tile and flooring in baths, kitchens, and laundry rooms in new construction and remodeling. Ebbe America, an innovative manufacturer of floor drains and associated products, is a proud leader in the plumbing industry. The company designs their products with the goal of creating a pleasant maintenance experience, and their design sophistication has caused increasing popularity with contractors, homeowners, designers, and specifiers. Eleganza Tile, Inc. has a goal of offering affordable, innovative, quality products that bring a client's vision to life. To achieve this goal, Eleganza works closely with a network of factories located throughout the world to develop an extensive assortment of collections suitable for interior, exterior, floor, wall, residential, and commercial applications. Eleganza Tiles, Inc. is one of the largest and fastest growing ceramic and porcelain tiles companies in North America, and their diverse offering includes high tech ceramic, porcelain, glass, and concrete tile options. FinPan, Inc. has specialized in innovative, cost-effective, tileable building materials since 1975. The company is the world's oldest process manufacturer of concrete backer board and inventor of the process, and they have spent the last 43 years developing lightweight, tileable installation products for homes and businesses. Fujiwa Tiles, established in 1984, has become a leading supplier of the world's finest pool tile. The company offers tile designs that range from basic to exquisite, and they also have decades of technological knowledge and experience to offer. Fujiwa tiles are porcelain glazed, weather-resistant, frost-proof, acid-proof, and stain-resistant. GBM, based in Shanghai, is a manufacturer known around the world for their high quality glass tile products. The company works with over 40 designers worldwide to gain insight into the latest trends and the needs of customers. GBM manufactures all of their products in accordance with internationally accepted quality standards, and their glass tiles stand out from the majority due to the company's creativity and advanced technology. Georgia-Pacific Building Products has been creating groundbreaking products for commercial and residential buildings for over 90 years. 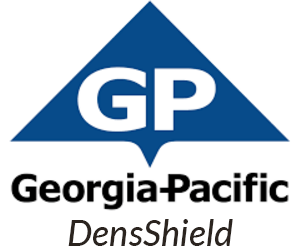 The company's commitment to innovation is exemplified in their Georgia-Pacific DesShield Tile Backer, which is the first backer board with a built-in moisture barrier and absorbs less water than the leading fiber cement. Glass Tile and Stone, Inc. is one of the largest glass tile mosaic companies in the Midwest. The company is based in Chicago, where they have a warehouse facility that stocks over 100 styles of glass mosaic tile, porcelain mosaic tile, and glass corner shelves and brackets. Glass Tile and Stone's 30+ years of industry experience are reflected in their wide selection of popular tile products, the quality of their products, and their expertise. Great Lakes Tile Products was founded in 1999 by a flooring industry professional who saw a need for high quality, readily available trims and transitions for flooring products. Decades later, Great Lakes Tile products continues to develop and offer the finest quality aluminum alloy, stainless steel, and PVC trims and transitions for stone and tile. Gundlach has been producing floor covering installation tools since the early 1930s. The company was founded in Belleville, IL in 1927 and began manufacturing flooring installation products after the invention of asphalt floor tile. In the years since, the company has continued to expand into the manufacture and sale of various other flooring installation tools. Hamilton Parker is an Ohio-based company that has been offering quality residential and commercial building materials for over 75 years. Hamilton Parker offers a range of products that includes imported tile, large format tile, and thin brick. Happy Feet International was established in 2012 by a father-son team, Casey and CJ Johnson. Today, Happy Feet offers thirteen different product lines and includes a wide range of styles and colors. This small family-owned company is passionate about meeting the needs of retailers and end users, and they are constantly adding and updating their product offering with new styles, colors, and vinyl constructions to best meet the needs of the consumer. 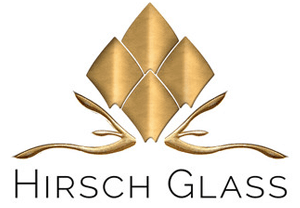 Since its establishment in 1992, Hirsch Glass has focused on designing and manufacturing the best quality glass products in the world. Art glass tiles, mosaics, and panels are produced at the company's high capacity manufacturing facility. At Innovis Corporation, shower installation products are designed for superior performance, minimal installation effort, and maximum flexibility. The company has been manufacturing shower products in the US for over 20 years, and their experience enables them to meet and exceed the standards set by many industry related organizations. Interceramic has been producing ceramic, porcelain, and natural stone floor and wall tiles for over 40 years and has had a manufacturing presence in the United States for decades. Today, the company is capable of producing over 250 million square feet of tile in their facilities, and they are known as the largest manufacturer of glazed floor tile in North America. Interceramic products innovative, environmentally responsible products that are known for their quality. Ken Mason Tile is an environmentally friendly company that produces handmade tile collections. The company cleans and recycles their water, spray booth air, clay, and paper products, and they work exclusively with water-based pigments. Ken Mason Tile collections are handmade from raw clay body to glaze application. Lungarno Ceramics specializes in ceramic tile and mosaics from Asia and Europe. This industry innovator is focused on providing the latest technology and styles that the tile industry has to offer. With an offering that ranges from contemporary to classic, Lungarno Ceramics inspires endless design options for any commercial or residential space with a need for durability and unique style. M S International (MSI) offers the greatest product variety in the marketplace, including porcelain and ceramic tile trends from around the world. Founded in Indiana, MSI now has over 25 facilities throughout the US. As the company continues to expand, MSI continues to introduce new and innovative products with limitless design potential. Maniscalco is an Australian inspired manufacturer of stone, glass, and metal mosaics and field tiles. With a facility in Dallas, Texas, Maniscalco is well equipped to bring the beauty of Australia to the USA in the form of stunning mosaics and tiles. Marion Ceramics was founded in South Carolina in 1885. The company has over 100 years of clay reserves, and Marion's clay has enabled the company to develop the unique product lines they manufacture today. Marion Ceramics is the only manufacturer offering tumbled thin pavers and tumbled thin veneer brick. Established in 1983, Miracle Sealants has been surpassing industry standards for decades. The company produces premium quality, professional grade installation and care products for tile, grout, natural stone, brick, and masonry surfaces. Miracle Sealants products are produced in the USA and have been used for over three decades on billions of square feet of surfaces worldwide. Mirage USA designs and produces porcelain floor and wall tiles for commercial and residential spaces. Mirage places a strong emphasis on the latest trends, and the company is constantly focused on carrying out innovative research. Their facilities in the USA enable Mirage to forge ahead with their process of continual development and renewal, bringing the sophistication of Italian design to North America. Founded in 1946, Noble Company manufactures innovative, premium quality products for the tile industry. The company is based in the USA and has manufacturing locations in Michigan and Louisiana. Among their notable innovations is the Noble Niche, a waterproof shower niche that is durable, lightweight, and can be installed in minutes. ONIX, founded in 1999, is a world leading glass mosaic company. ONIX has a presence in over 100 countries, and their continuous aesthetic search combined with significant technological potential have positioned the company as a benchmark in the world of decor. Patara Stone is a fast-growing tile and stone company centered in Houston, TX. Patara Stone imports their natural stone products directly from the quarries, and they source only the finest materials for porcelain and ceramic tiles. Patara is focused on quality control, with a dedicated team inspecting all finished products to ensure that they meet the company's high standards. Patara Stone offers a wide range of tile products in unique patterns, sizes, and designs. The Pearl Abrasive Company offers coated and bonded abrasives, diamond superabrasives, and equipment throughout North, Central, and South America. Since its founding in 1968, the Pearl Abrasive Company has established itself as an industry leader in the field of high-tech diamond blades. PetraSlate Tile & Stone, established in 1989, offers the largest inventory of slate products in the region. The company began importing natural slate, travertine, and limestone in the mid 1990s, and they have been creating innovative tiles and mosaics since 1995. Now located in Denver, Colorado, PetraSlate continues to develop stunning new applications for natural stone. Progress Profiles offers profiles for coatings, floors, and tiles. Progress Profiles is committed to exploring new ideas for development, and they seek to anticipate developing trends to satisfy customer needs. As a result of their customer focus, the company has enjoyed over 32 years of worldwide success. Progress Profiles has one main objective: to invent a new profiles that work as creative and dynamic design features to add character and personality to any environment. Puccini Natural Stone takes pride in staying on the cutting edge of innovative designs for natural stone, glass, and metal products. Puccini, located in Texas, is continuously creating new designs and concepts that keep them ahead of the curve when new trends come along. With a continuously evolving product line, the company reliably offers a wide variety of products to suit any design aesthetic. QEP was founded in 1979, and over the past few decades, the brand has become recognized for their installation tools and accessories. QEP specializes in installation products for tile, porcelain, and natural stone, and they continually introduce new and innovative products that address the challenges of today's market. "Always leading while learning." This simple yet wisdom-filled phrase has been the guiding force behind Ragno USA's success in the manufacturing of porcelain surfaces. Ragno USA has the production capabilities and advanced technologies necessary to produce fully-rectified, digital, color-body porcelain tiles with micro-beveled edges for a precision finish. This industry leader in color and design trends produces their porcelain tile collections right here in the USA, and they continue to invest in the research and technology necessary to continue providing high quality tile products for many years to come. Raimondi is a worldwide leader in the production of tile and stone machines and tools. Established in Italy in 1974, the company quickly expanded their product range and became known internationally. Raimondi tools are produced in Modena, Italy, a city that is dedicated to ceramics and quality craftsmanship. Raimondi products are built to increase productivity and improve the quality of the finished work. Ram Board is a top provider of temporary floor protection products for contractors, remodelers, and flooring professionals. These products offer patented features such as Spill Guard, Wall Guard, and Flex-Fiber technology to ensure that contractors are provided with highly dependable job site floor protection. The Roca Corporation has a long and rich history, beginning as a radiator company in Barcelona over one hundred years ago and eventually transitioning into a company focused on bathroom spaces. This global brand has a production presence in 78 locations and manufactures tile under the Roca and United States Ceramic Tile brands. The company's product range offers a variety of tile solutions, from versatile wall tile to highly resistant indoor and outdoor floor tiles. Roca's product offering includes single colors, marble, wood, concrete, fabric, decorative tiles, and a wide array of complementary pieces. Rubi was created in 1951 with the invention of a tile cutter for hydraulic mosaic. This first tool served as a stepping stone for developing a strong company that currently designs, manufactures, and distributes equipment and tools for cutting and laying tiles. StoneImpressions manufactures their tile products in a state-of-the-art facility located in San Diego, California. The company uses only the highest quality stone, and each tile is hand selected and inspected as part of the production process. StoneImpressions sets the precedent for creating gorgeous, timeless, decorative stone tiles with virtually limitless options. Located in the hills of the Smoky Mountains, StonePeak Ceramics produces American-made tile inspired by Italian style. With Mother Nature as their inspiration, StonePeak captures the individuality and beauty of natural stone in each piece of porcelain tile produced in their factory. StonePeak Ceramics combines natural beauty with man-made durability to create products that are as beautiful as they are functional. SunTouch, a Watts Water Technologies company, provides a wide range of electric floor heating and snow melting systems that are widely used in residential, commercial, and institutional projects to create comfortable, warm, safe, and inviting spaces. With more than 30 years of experience in electric radiant heating, SunTouch delivers quality products, simple-design services, and world-class support. The TEC brand is produced by H.B. Fuller Construction Products Inc., a leading global adhesives provider headquartered in Aurora, IL. For over 125 years, H.B. Fuller has focused on perfecting adhesives, sealants, and other specialty chemical products to improve products and lives. The company's commitment to innovation brings together people and processes to create technologically advanced products that solve some of the biggest challenges in the commercial, industrial, and residential construction industry. Tile District designs tile that is suitable for a wide variety of applications. The company's ceramic and stone tile collections include options for exterior, interior, floor, wall, residential, and commercial applications. Versatrim is the leading laminate molding brand in North America. All of the company's moldings are produced in the USA, and their innovative approach to molding solutions contributes to their ability to coordinate with most top colors in the vinyl, LVT, WPC and laminate flooring categories. Vitromex offers a line of tile products including glazed ceramic, porcelain, mosaic, and decorative tiles, and since the inauguration of their first plant in 1967, they have become a leader in the industry. Vitromex seeks to provide value in flooring options for homeowners, architects, and designers by bringing together innovative design and quality. Their facility in Texas provides flexibility and responsive service for customers throughout the United States. Wedi, a family owned company, was founded over 35 years ago and is now active in 36 countries. The Wedi product system range is characterized by its main features: design diversity, modular simplicity in installation, and reliability in application. Wedi product systems are 100 percent internally waterproof, offering solutions for commercial and residential wet room design and preparation.